The EL3060 series is compactly built and especially designed for hazardous areas.The gas analyzer is made up of the flameproof enclosed control unit which can also contain one analyzer. The infrared photometer is built into a separate flameproof enclosure and can be separately installed from the control unit. Their robust and flameproof design meets the requirements for use in hazardous areas, Zone 1, Category 2G in accordance with European ATEX legislation. Their display with touch screen renders safe operation without opening the housing. 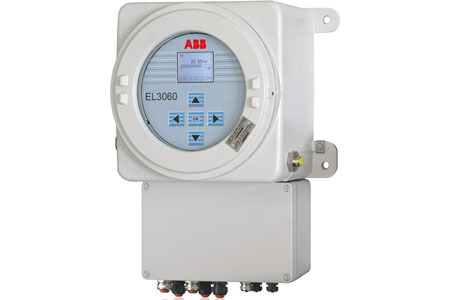 The analyzers for the EL3060 have been taken from the modular product line Advance Optima where they have been successfully used in process analytics for many years. An oxygen as well as the thermal conductivity analyzer can be combined with the Infrared Photometer. This means that complex measuring tasks like internal cross sensivity corrections with up to 5 measuring components in one device can be fulfilled.